The physical and mental health of our club members is very important. The Club provides regular activities to help members to keep fit, healthy and happy. 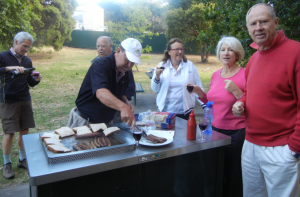 Some members also get together for a game of golf quite regularly, or join each other for a meal at home. We do form some wonderful friendships with the like-minded folk we meet at Rotary. 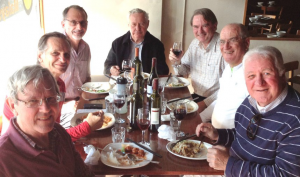 Every second Wednesday a group of club members meet at a local restaurant at 12:30pm for lunch. Several past members keep in contact by attending these informal meeting. Please contact David Zrna if you would like to join us. We solve all the problems of the world ! 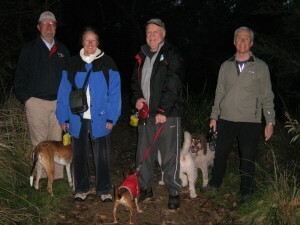 Every Tuesday and Thursday morning at 7:00am members walk together through the local suburbs to help to keep fit. Dogs are very welcome and sometimes we conclude with breakfast in a park. Such a delightful way to start the day. 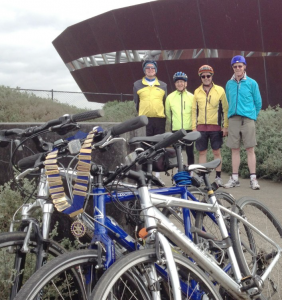 Each Tuesday, Club members and friends who are cyclists set out for a days ride through the suburbs of Melbourne. They catch trains to the starting point of the ride and go along the amazing network of off-road bike paths – just take a look at all the blue lines on this map ! 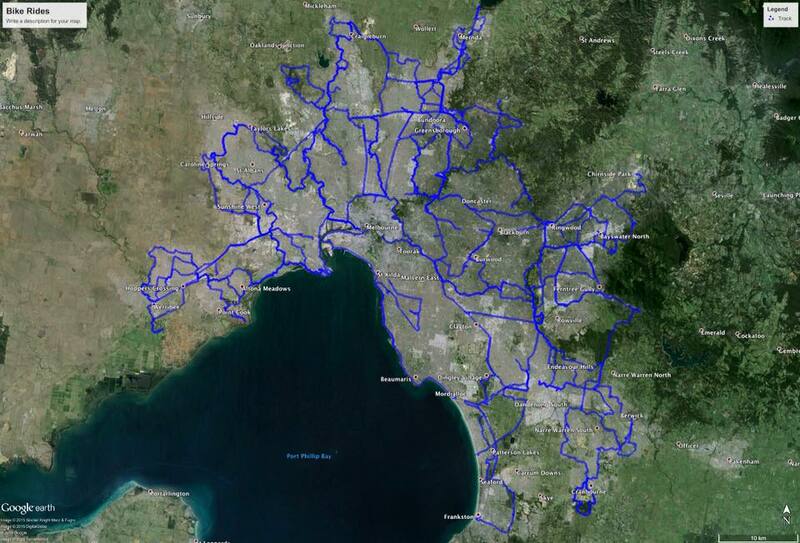 These are the bike tracks where members of our Rotary Club have ridden their bikes together over the last twelve months. They use the iPhone app MotionX GPS for tracking the route. 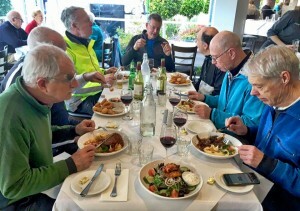 Every Tuesday the group stops at a cafe for morning coffee, then somewhere nice for lunch after which they return home by train. What a way to see our beautiful city !